We should also think about negative numbers also. One solution would be using three nested loops and find the highest product of 3 , which will give the runtime complexity of O(n3). Another solution would sort the array and find the highest product of 3, which will give run time complexity of O(nlogn). What you think which will be the three numbers which gave highest product of 3? -2 * 4 * 6 = 24 ? -3 * -2 * 6 = 36. Let’s analyze the logic of solution that we are going to implement. Later when you look at the final source code , you will get more clarity. Because this solution is little bit tricky. here 4 and 6 are current values while iterate through code. And also -2 * -3 are the two numbers which will give highest product of 2 . On each iteration we need to track the maximum product of 2. Let’s do it in the code. How about this array [-2, -3 ,-4, 4, 6] ? Can I get highest product of 2 , which will be -4 * -3 =12?. No. Because we have to iterate and find the next highest product of 2. So let’s do that. After the first iteration our current value is -4 . So next highestProductOf2 is either the current highestProductOf2 || current * highestValue || current * lowestValue. We can take the max value from it. In the code I have initialized highest and lowestValue as first two items from the array. // Do we have a new lowest? How about this array [-10, 1, 3, 2, -10] ? what will be the expected output? it’s 300. But our method will return 6. So we missed one more thing lowestProductOf2 , there could be a chance of -10 * -10 * some value will also give highestProductOf3. In the current array it will -10 * -10 * 3 = 300. Let’s do that,which is similar to highestProductOf2 , instead of max we have to find the min value and also we have to check the maximum current* lowestProductof2 to find highestProductOf3. 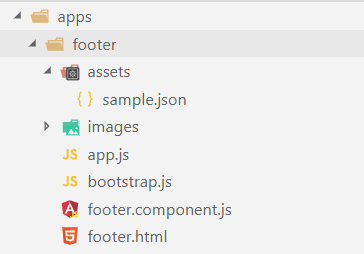 Below are the steps I have done for configuring the Bootstrap 4 in Angular 7. You can use copy-webpack-plugin to copy files or directory from your source directory to dist folder. Service worker is also live on even after you closed all the pages in the browser .For example if you are using a mobile phone, even if you close the application , service worker will run as a background process. What we can do with service workers? What you can do with this fetch API in service worker? By using service worker every http request send via fetch API can intercept like a network proxy.So you can block the request if you want and also you can manipulate the request. Also the image tags which point to some image resource in the html will also send a fetch request by the browser. So you can cache the same by intercepting it. Every browser like Google Chrome,Mozilla Firefox has its own web push server , So you can push notifications from your web server to this web push server and then browser will send this notifications to your client. This feature is very useful for a mobile to receive push notifications even if we are not in the application. How to Register a service worker? Please note one thing , the scope of the service worker depends on the location of the file. If the file is on your root of the application , service workers are applies to all pages in your application. If you can create the file in sub folder , service worker could only control the pages inside of this folder. Add your service worker registration code , you can add this in to your start up js file. How Observable works in RxJS? Observable is a like a stream which allow to pass zero or more events or values and you can subscribe each using a callback function. Why Observables are so important? Observables are capable of modeling all the above things together with a very little code. Observables are lazy which means , the above code never executes unless you are subscribing it. In the callback function of next , you will get all the values emitted from the Observable sequence including sum as final value and finally execute the complete callback function. Let me tell you one more scenario with the same sample by simply commenting one line of code. I am not emitting each value instead I want to emit the sum only from the observable and complete. PWA is not a technology or a framework , set of features in web which helps to improve your application progressively. It means if you have a modern browser you will get an awesome user experience else those features just not support it , your application will have existing features remains as it is. Let’s talk about what all the features we can use to enhance our existing or new web application . 1. You can bring native look and feel of mobile device apps on your web pages. It’s not the responsiveness of web page but you can access the native features such as camera , accessing geo location, push notifications. 2. Offline Capability when your internet connection get lost. 4. Icon on the home screen , you don’t need to install the application from the app store to place it on your home screen. There are three import things I want to summarize about the progressive web application. Reliable : Application will load instantly even in a uncertain condition and provide offline functionality through caching. Fast : Respond quickly as possible based on the user interactions. Engaging : Feels like a native app on mobile devices. 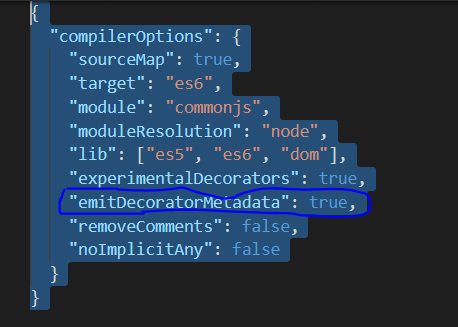 I have recently faced an issue while configuring an Angular 6 application using Webpack 4 , All the dependencies I am injecting in to the component are throwing error.